It’s that time of year again! Time for the Great Minnesota Get-Together, also known as the Minnesota State Fair! Here at The Gorman Center for Fine Dentistry, we love the Minnesota State Fair. When this time approaches, we all talk about what our favorite spots are to visit and more importantly, what are our favorite foods. 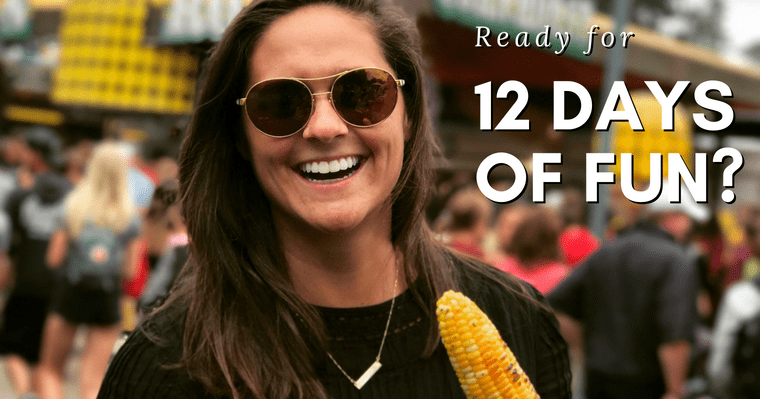 Each of us wants to share with you what our favorite fair foods are and maybe we share some in common with our readers! What are our favorite fair foods? Dr. Gorman and his wife Connie enjoy the pork chops on a stick along with milkshakes from the Diary Building. Dr. Gorman along with Emma Claire, his Dental Assistant, enjoy the corn on the cob as well… but remember to floss afterward! Connie also says she likes the taffy. Be careful with the taffy though, it is one of the worst candies for your teeth, but we understand that you have to indulge every once in a while. Sarah, Dr. Gorman’s Dental Hygienist tells us that she enjoys the cheese curds, Italian egg rolls, and french fries. Jessica, Dr. Gorman’s Dental Assistant shares that her favorites are corn dogs and fresh, cold all you can drink milk. The Minnesota State Fair is held every August into Labor Day in St. Paul, Minnesota. Beginning in 1854 as a territorial fair to highlight agriculture and encourage farming in the region, it wasn’t until 1859 (a year after Minnesota gained statehood) that it became the “Minnesota State Fair”. The annual Minnesota State Fair (often referred to as the “Great Minnesota Get-Together”) is a popular tourist destination in the region. The fair attracts nearly two million guests annually. Wishing you all a wonderful state fair season from all of us here at The Gorman Center for Fine Dentistry! What is your favorite food at the Minnesota State Fair? Leave us a comment below!